Mission accomplished. Datlow has produced a collection filled with some of the most powerful voices in the field: Pat Cadigan, Terry Dowling, Jeffrey Ford, Christopher Fowler, Glen Hirshberg, K. W. Jeter, Joyce Carol Oates, and Lucius Shepard, to name a few. Each author approaches fear in a different way, but all of the stories' characters toil within their own hell. 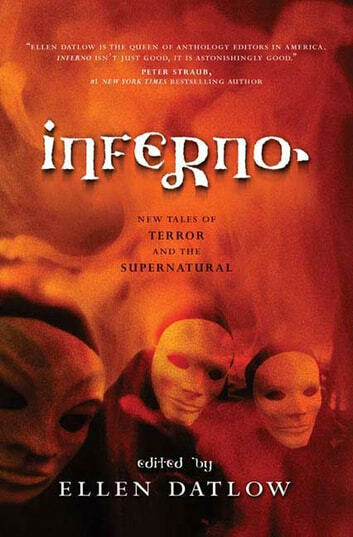 An aptly titled anthology, Inferno will scare the pants off readers and further secure Ellen Datlow's standing as a preeminent editor of modern horror.